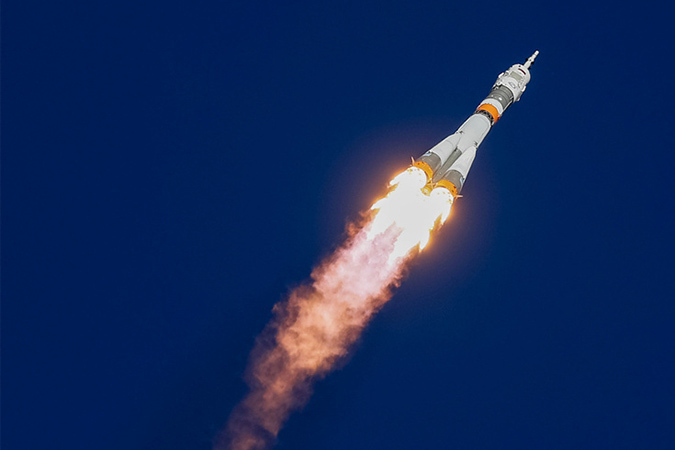 Penelitian - The capsule of the Russian Soyuz MS-10 spacecraft with one Russian cosmonaut and one U.S. astronaut on board made an emergency landing in Kazakhstan Thursday after the carrier rocket malfunctioned shortly after lift-off. Roscosmos head Dmitry Rogozin decided to transport the astronauts to the Baikonur Cosmodrome. A team of Russian resuscitation physicians arrived by helicopter at the spaceship's landing site and made a preliminary examination of the astronauts, the Federal Medical and Biological Agency of Russia said. Search and rescue teams were deployed to the landing site, who took the astronauts out of the capsule and delivered them to Dzhezkazgan. According to NASA, the astronauts will be later moved to the Gagarin Cosmonaut Training Center outside Moscow. Roscosmos said a state commission was formed on Rogozin's order for more investigation. Russia will suspend launches of manned spacecraft until the investigation is completed, said Deputy Prime Minister Yury Borisov, who is in charge of the country's space program. Its conclusions have not been made public so far and the crew of the aborted mission reportedly planned to check the damaged Soyuz MS-09. Russia's Soyuz spacecraft is currently the only vehicle for spaceflights between the ISS and the Earth.